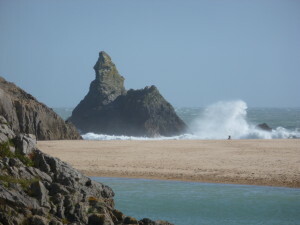 Book a walking guide to lead you along the best of the Pembrokeshire Coast path. We can lead you along the full 186 mile journey or just lead you on certain sections for half day or full day guided walks. We can even lead you for a full week or weekend of walking to fit in with your holiday requirements. We have chosen a selection of some of the most iconic walks along this incredible Coast path to help with your choice, please get in touch with your dates to book your first class guided walks. 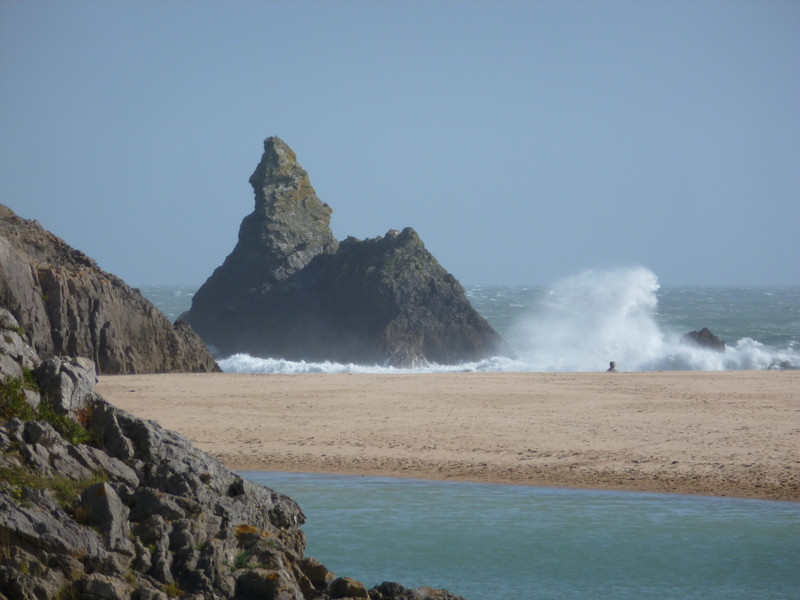 A magnificent guided walk around the Stackpole estate. 6 miles, to include recommended lunch stop and tea stop. This is one of the finest walks in Britain, the sheer diversity of landscape is inspirational. Lily ponds, country mansion grounds, woodland, tiny harbour, stunning cliff top walk and a couple of the best beaches in Britain or possibly the world. 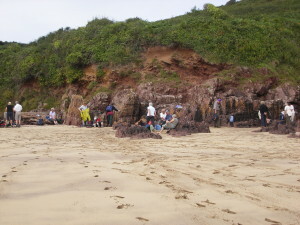 We will walk along Bosherston lily ponds, Stackpole quay, Barafundle bay and Broad Haven beach. Listen to the tale of the estate and connect with incredible diversity of wildlife, otters, herons, variety of seabirds and coastal wild flowers. 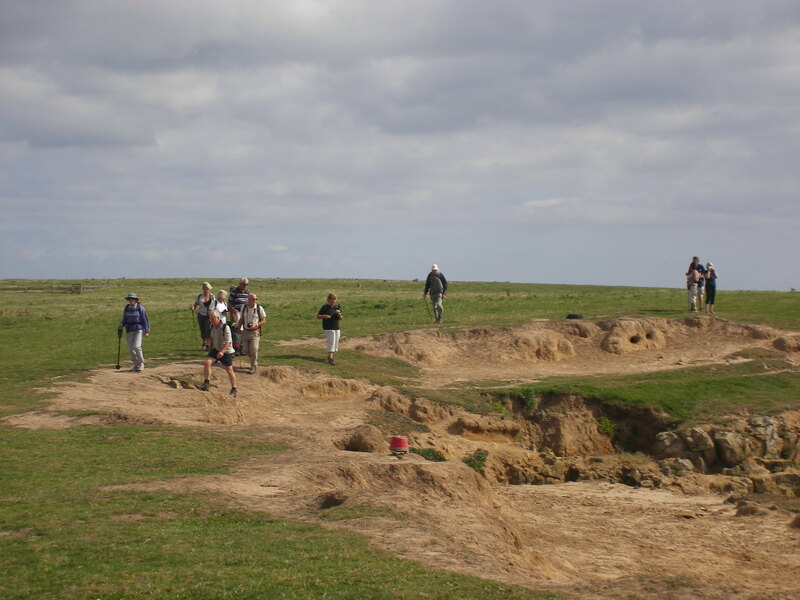 A fascinating 7 mile coast path walk around the Dale headland. 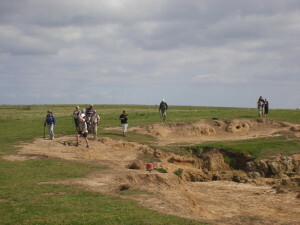 This is truly a walk of 2 halves as we follow around the west facing cliffs to the East facing coves. 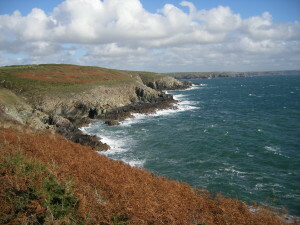 The Atlantic facing cliffs are some of the most wild and remote parts of the Pembrokeshire Coast path, buffeted by the warm winds of the Gulf stream. We reach the tip of the headland which is dominated by St Anne’s lighthouse and the landing spot of Henry Tudor when he marched to the battle of Bosworth to defeat Richard 111. The sheltered eastern coves offer secluded bathing and then we have brilliant views up the Haven, one of the finest natural seafaring harbour estuaries in the world. The Haven defences of cliff and island fortresses dominate the Haven and offer an intriguing backdrop of military history to complete the finest of walks. A 5 mile cliff top walk along the wild and rugged south west cliffs of Pembrokeshire as we enjoy the coastal wildlife and hear the story of this inspiring landscape. Stunning views to the islands of Skomer, Skokholm, Gateholm and Grassholm. Walk along the headland at Deer Park and see a variety of seabirds including Greater black backed and lesser black backed gulls, gannets, fulmars, guillemots and maybe even the rare chough and of course don’t miss the pupping season of the Atlantic grey seals. 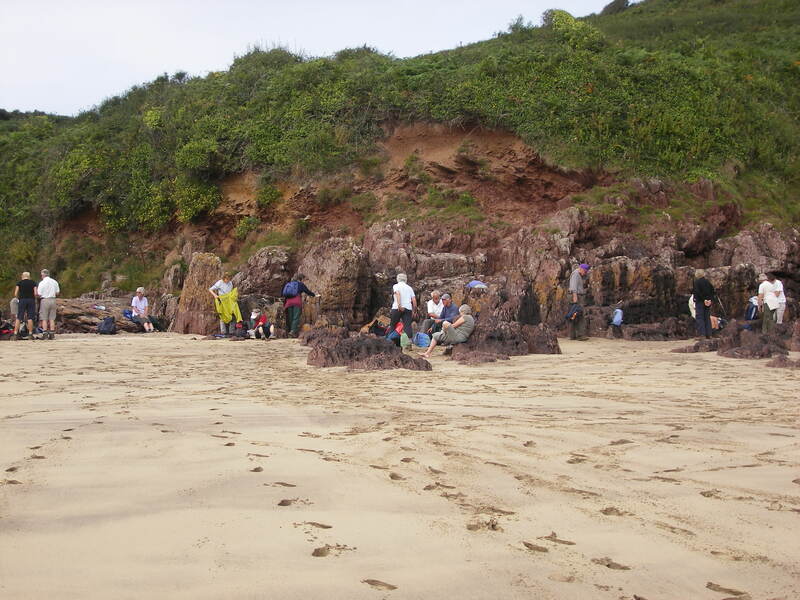 The site of the red sandstone cliffs of Marloes Sands is one to remember as we walk along these panoramic cliff tops. In the steps of St David – follow in the footsteps of St David and listen to tales of St David, of friends, animals and fellow saints. Hear about our Patron Saint of Wales as we walk the magnificent cliffs and coves of St Davids and finish your tour with a special guided tour of St Davids Cathedral. Optional time and distances available from 2 to 9 miles.